My submission is Neo Soul Love. As usual it’s a one track mix…done in one take. 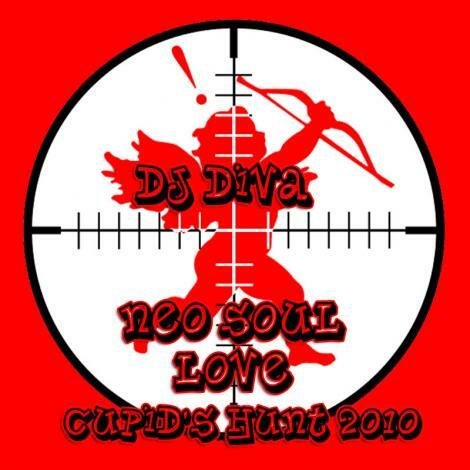 I Hope you enjoy it and be sure to check out the other Cupid’s Hunt Participants below my track listing. Show them love too! Uhhhh…yea. You had me at Bilal. LOL! This mix is FIRE. Ironically, Nothing Even Matters was played at the wedding I was in this weekend and I heard “I’m In Love With You” on my ride back home. I love every song on here. Great job mixtress! Downloading this now. That Floetry song might end up getting me preggers. Thank you for your kinds words about my mix. Yours is that deal too. Between the 2, we’re gonna increase the population. It’s all love though. thank so much! i love your mix too!